Next generation super auto marijuana specialists are worthy of your attention. Trust us, your grow op could definitely be enhanced with these beans. Super autos are the break-through in auto breeding we have all been waiting for. Meet the pioneers: Auto Seeds. Auto Seeds are a next generation seed bank with an exclusive cannabis strain catalogue. Contemporary autoflowering cannabis varieties have only recently come of age. Super autos are even newer on the scene. Only in the last 5 years have super autoflowering cannabis strains earned a place in the grow op. The Auto Seeds breeders got into the game at just the right time and in just the right place. Auto Seeds might be just over 4 years old but they set up shop in the super auto epicentre Barcelona. The age of the super auto is upon us and Auto Seeds are a new breed themselves. Specialising in the development of super autoflowering strains alone. Auto Seeds are a 21st-century seed bank without industry peers. The breeding model is not the only thing that’s unique about Auto Seeds they have also turned their network into a resource. Auto Seeds might be based in Spain but they have linked up with breeders around the globe. 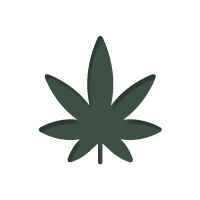 Through this “cannabis international community” encompassing Europe and North American collectives, Auto Seeds have collaborated with the World’s marijuana elite. Future joint ventures are always on the table and they very much welcome new cannabis connections. Absolute dedication to super auto breeding since the genesis of the breed until the present has culminated in the creation of an ever-expanding collection of super autos superior to traditional photoperiod cannabis strains. That’s a bold claim but Auto Seeds have got empirical evidence and grower testimonies to back this up. Data is power. But nothing beats first hand grow op experience. If you’ve always dreamed of cropping a fat stash of connoisseur grade buds in record time make it a reality with a pack of these beans. Beware growing super autos can be addictive. Indoors or outdoors an experimental first crop of Auto Seeds will convert you to a dedicated super auto cultivator. No more changing the light cycle and no more stretchy subpar yielding plants to worry about. Now let’s wet your appetite with a selection of the tastiest super autos in the Auto Seeds collection. Auto #1 is the perfect introduction to super auto cultivation for the novice grower. Although, yields are of interest to commercial growers too. This dwarf variety is incredibly versatile and rewarding to cultivate both indoors and outdoors. Low maintenance, low odour, low profile with an unbelievably high flower to leaf ratio. The list of positive attributes goes on and on for Auto #1. Taking just 60-70 days to transition from seedling to dense trunk of dank bud this is the super auto that will make you a true believer. Berry Ryder is the latest super auto variety by Auto Seeds. Blending the Auto #1 with a choice original Blueberry unlocked tremendous hybrid vigour. The Berry Ryder can be cropped indoors or outdoors in just 60 days post germination. Even in northern latitudes, this strain retains its high-performance cannabis reputation. In fact, it bolsters it. Balcony growers take note this productive beauty typically peaks in vertical height at 80cm. Indica traits will exude with fat leaves and fat colas. This strain literally leaps out of the ground and before you know it dense nuggs abound. Late in bloom under cooler conditions, the Berry Ryder can take on a midnight blue shade that is visually stunning. The real treat is Berry Ryder tastes as good as she looks with a sweet berry flavour and chill body effect. Polar Express is a super auto cannabis strain with perhaps the most impressive pedigree lineage. The legendary Northern Lights #5, a select California Kush and a very special Low Ryder comprise the potent cocktail of Polar Express genetics. Resin production is extra frosty and 60-80 days after germination you’ll see exactly how icy the chunky Polar Express nuggs can get. In appearance, the Kush background is obvious as plants are very squat and develop a single thick trophy cola. However, the Polar Express has a far more subtle aroma and is a pretty stealthy strain. Effects are a pleasant heavy indica buzz. Finding yourself couch locked while there is simultaneously a party going on in your mouth is a wonderful life experience not to be missed. Growers of all levels that demand the fruitiest knockout marijuana accept no substitutes, it’s gotta be the Pineapple Punch. The Pineapple Punch is perhaps the flavour packed hybrid in the Auto Seeds collection. Vintage Pineapple genetics and mega potent Grapefruit varieties were refined to produce the Pineapple Punch. This kind of exotic cannabis is often high maintenance. In contrast, the Pineapple Punch is very forgiving. And requires minimal fertilisation to deliver an impressive harvest in 65-80 days of rapid growth.